FitLife is a community inspired by fitness and inspiring others with fitness. FitLife is about wellness and healthy living. It is about being balanced physically, mentally and spiritually. FitLife is a symbol that transcends all sports and forms of recreation and encourages people to adopt a healthy lifestyle. 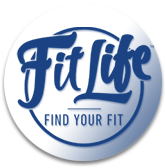 FitLife supports YOU as you “Find your Fit.” Share with us your story, a competition you are competing in, a race you plan to run or an event you are participating in. FitLife wants to support YOU in your endeavors. Subscribe to the FitLife and fall in love with taking care of your whole self: mind, body and spirit. Don’t be afraid to fail, believe that something different can and will happen.